This week I started a study on simplicity. And I began de-cluttering. And I am finishing some writing projects and starting some new ones. And I am putting more on my calendar than I usually place there. Because life is rich and full. Life is complicated and wonderful and simple. There is a place of discerning balance between entering in and holding back. Saying yes, a warm and loud yes, and saying a humble and wise no. A no that feels holy and sacred. That restrains in order to give later, to hold back now in order to invest more later. To manage our resources and energy well is to steward the gift, well. May you and I find refuge and strength to soak in the good, withstand the times of loneliness and pain with grace. And to step into His will with wisdom. May we be restored by the flames of His fiery love and goodness. And have eyes wide open to notice all His gifts, His sovereignty and sacrifice as we move into the Holidays. The ones where we celebrate all His gifts. May we be mindful daily of the greatest gift, the sacred one of His Holy Birth. Daily, bending the knee, daily bending the ear, bowing at the throne of our Lord. God, the King. 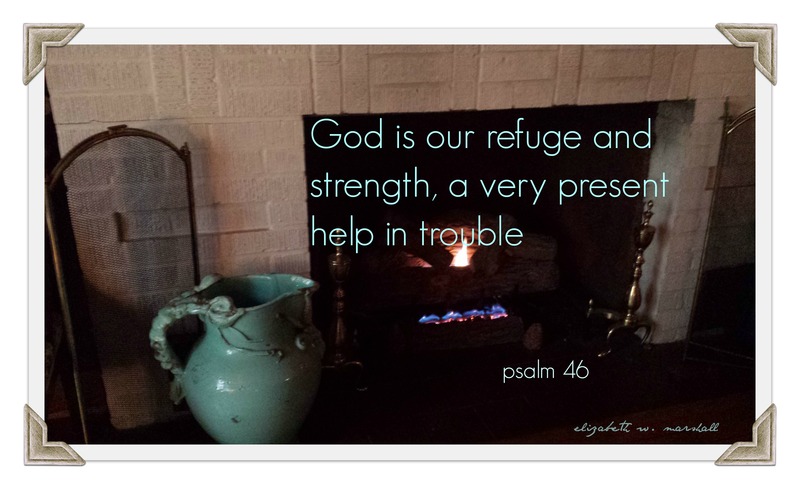 God, our Rescuer. God redeemer and lover of our souls. Amen. With Thanksgiving hearts and praises, words of yes. And whispers, sometimes, of a wise, well-thought-out and discerning no. Joining Deidra at her beautiful blog home, Jumping Tandem. Oh how I have missed this community.